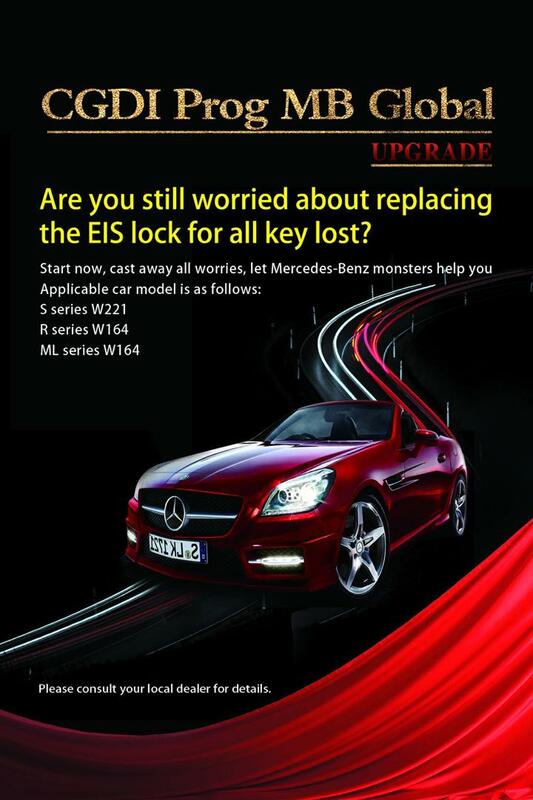 CGDI MB Global upgrade: Are you still worried about replacing the EIS lock for all key lost? Star now, cast away all worries, let CGDI MB monster help you. Question: Nothing new. Other Auto Key Programmer program these if its not nec. Answer: Is mentioned the situation of change of eis if is akl situation !! all the eis w164 and w221 until 2009 if have nec mcu inside you cannot make akl !! this is the important update and premiere from cgdi !! not even vvdi mb not do akl on this tipe of eis !! in conclusion is a good news !!! Q: The exact date is already known ? A: It is coming soon.